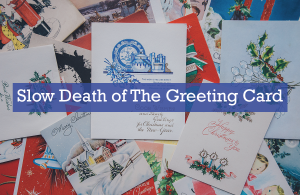 We don’t have an obituary much less time of death, however, one thing we can agree upon is the greeting card is no longer a relevant product. Sadly the time has passed. Would it be our place to mention the reasons why? I guess it wouldn’t matter, throw out a few answers and see what actually sticks. We could say, like anything else the leaders of the industry kind of (to no one’s surprise really) took a position which is very typical of big business. The posture I’m referring to is sitting back quite comfortably, admiring profit without any notion to spot possible trends and innovate. No fault of ours. But if we were to analyze this product which has been around for decades, what really has changed besides the texture of the paper? What? Did you know they say it’s the image that attracts and the words within the product (greeting card) that warrant the sale? 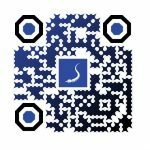 Again, we at Versuasions will say to succeed you have no choice but to evolve with the times. How can I or why would I want to communicate the same bland message to a friend that coincides with verbage used years earlier? Why? Society as a whole wants the truth. They want honesty. They need authenticity. It’s a shame. Another example of America’s ingenuity has become a pariah of its former self. Can someone say Blockbuster? Another reason could be the customers’ expectations. We demand greatness. We demand good value for our dollar and anything subpar will be labeled as, well lame. There’s only so many things you can construct with paper before the term “cute” is a term used to curve your true feelings. Lame. Hey at least if all else fails the recipient regardless how lame the greeting card is, can say “at least I was remembered.” And so we have 2 parties that are not enthused as purchaser and receiver. If this is the mindset and we believe it is, why hasn’t the industry decided to do something about it? Ah yes, balance sheets still demonstrate black meanwhile the product in the public’s eyes is bleeding a dark red hue, cut off from the oxygen vein of innovation. Again not our problem. I know it may not be that concerning to many but at Versuasions, I’m sure speaking on the company’s behalf would voice an agreed opinion in unison. The bottom line is: You work hard for your dollar thus value should always matter despite trivial the occasion or product. Can you hear that? Listen carefully. Do you hear that high pitch tone? It’s the defibrillator charged and ready to inject some life into an industry suffering from every single ailment known to man. She needs a facelift. A new identity without a politically correct gene. A new name. And youthful limbs so she can cover global distances in a seamless fashion. She needs a rebirth. A purpose to persuade the public to return in droves by way of verse. The letter V will be a more subtle reincarnation than the word “greet”. Versuasions will be its alibi.